The finely-honed sound of Simply Reeds has come as a result of the original and unique arrangements of Jon Halton and Graham Dolby. Our ever-expanding repertoire of over 300 titles encompasses a wide variety of styles from light Classical and Baroque music through to swing, jazz, and modern pop music. We have at our disposal three different combinations of instruments. 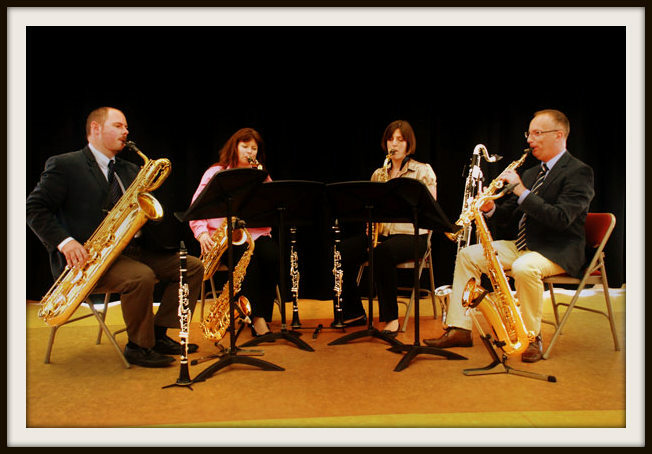 The combination of two alto saxes, tenor sax and baritone sax is particularly good for big band style close harmony arrangements, while the use of one each of soprano, alto, tenor and baritone sax works surprisingly well for Baroque music and lighter styles. Clarinets lend themselves very well to gentle Classical music, well-known show tunes, and trad jazz!